Power within the job market has shifted from employers and into the hands of the employees. In order to stay competitive, you must offer employees what they are looking for. With unemployment rates the lowest they’ve been since early 2000, it is now a jobseeker’s market. Employees each have unique needs, and basic core benefits may not check all the boxes for your entire workforce. Employers are currently being tasked with making their total compensation and career development package more attractive for prospective candidates—and more competitive to retain existing talent. 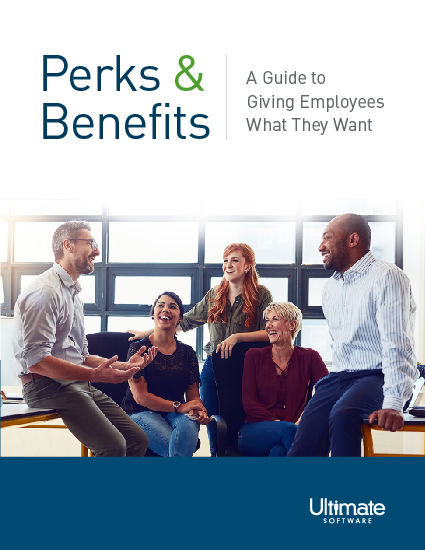 It’s impossible to keep everyone happy all the time, but by providing unique perks and benefits you can attract better talent and retain existing employees. Please fill out this brief form to access your perks & benefits guide.